The King is married to Queen Máxima. The royal couple have three daughters, Princess Catharina-Amalia, Princess Alexia and Princess Ariane. 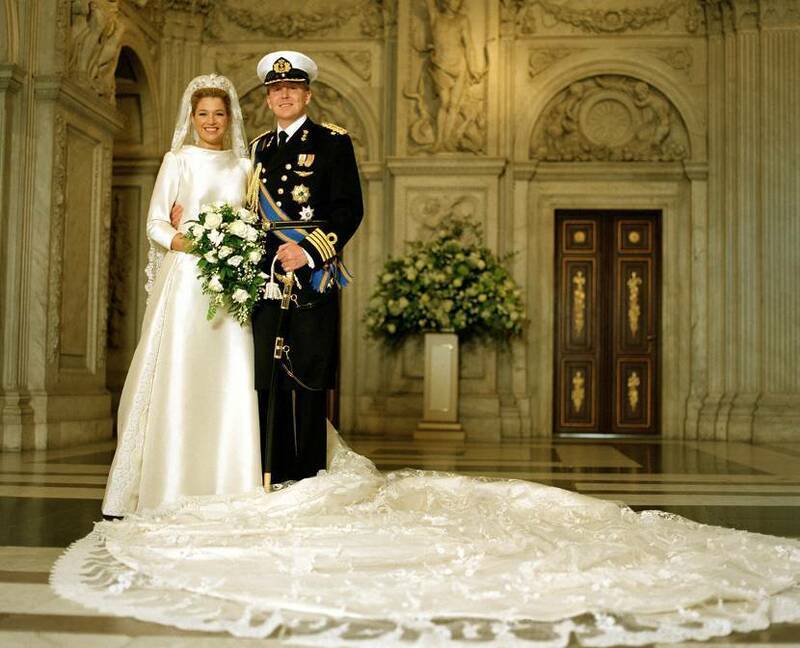 Amsterdam, 2 February 2002: wedding of Prince Willem-Alexander and Máxima Zorreguieta. On 30 March 2001 Princess (then Queen) Beatrix and Prince Claus announced the engagement of the Prince of Orange and Máxima Zorreguieta. On 3 July 2001 the two houses of parliament passed a bill submitted by the government consenting to the marriage. The Mayor of Amsterdam, Job Cohen, conducted the civil marriage ceremony in the Beurs van Berlage on 2 February 2002. The church ceremony took place immediately afterwards at the Nieuwe Kerk, Amsterdam. The Reverend Carel ter Linden and Father Rafael Braun officiated. The royal couple initially lived at Noordeinde 66, The Hague. In spring 2003, they moved to Eikenhorst on the De Horsten estate in Wassenaar. Since January 2019 King Willem-Alexander, Queen Máxima and their three daughters have lived at Huis ten Bosch Palace. Their first child, Princess Catharina-Amalia, the current Princess of Orange, was born on 7 December 2003. Their second child, Princess Alexia, was born on 26 June 2005, and their third child, Princess Ariane, on 10 April 2007. All three were born at Bronovo Hospital in The Hague.